This oven door towel was made using a heavy velour towel with a holiday Poinsettia print design. The poinsettias are colorful with the various shades of red, while a couple of the leaves have a black and red plaid design. 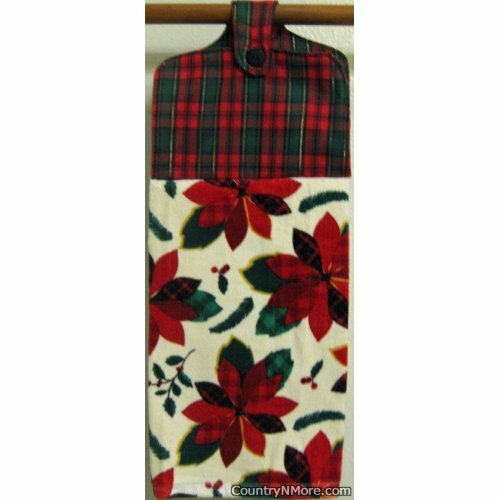 For the top, we used a red, gold, and green plaid print fabric. This makes for a great combination. We use full length towels for all of our oven door towels, and every oven door towel has a button closure.